You have to have either Unit 109 or 110 booked before booking this Room. One bedroom on the 2nd floor. 2 queen-size beds. This room cannot be sold by itself. However, it can be connected to either unit 109 or 110 as an additional 3rd bedroom. 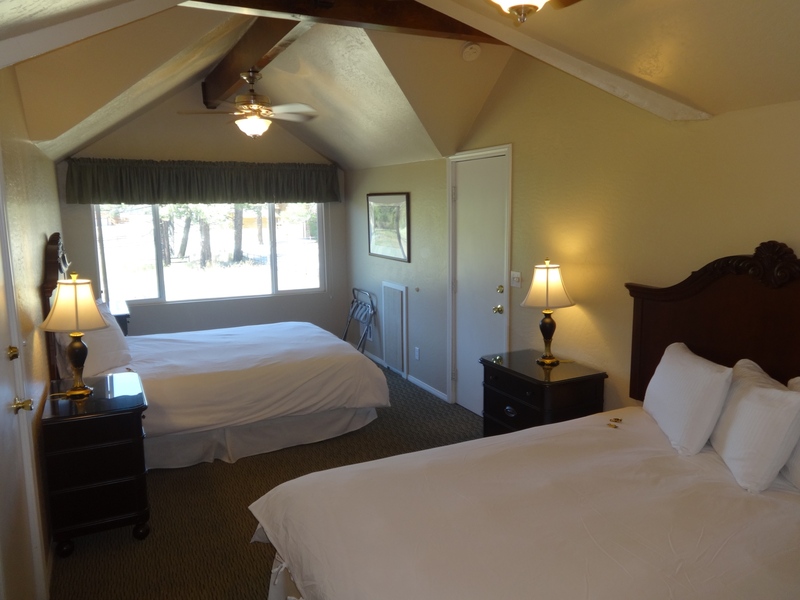 This room has a down alternative comforter with duvet cover, 2 alarm clocks with MP3 line-in. Unit 109 or 110 plus Bedroom "B" would give you 5 queen-size beds or for a larger group you can rent 109 +110 + Bedroom "B".